The Benchmade Knife Company, Inc. is a relatively new organization. It was founded in 1988 in California as a manufacturer of Bali-Song (butterfly knives). The business was moved to Oregon in 1990 where the company’s dedication to quality and customer service enabled it to grow rapidly and expand its product line. In the early 1990’s the Designer series was introduced, which laid the groundwork for what Benchmade has become today. Much of the company’s success comes from the design methods adopted to create this series. Contemporary designs and unmatched innovation has been the norm at Benchmade by bringing together the knowledge of many of the world’s top custom knife makers with its state of the art facilities and manufacturing expertise. In addition to the design processes, Bemchmade continues to make knives better with the use of non-traditional materials and modern manufacturing methods. The people at Benchmade are truly setting the standard for quality and innovation. Below, you will find a few links to more interesting Benchmade related information & resources. 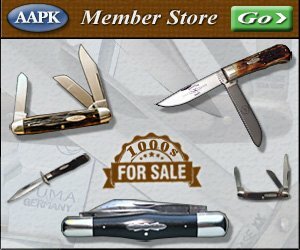 Benchmade Knife Blades This link has illustrations and descriptions of Benchmade’s knife blade shapes. You will also find information about the various steel materials used, and the coating that is sometimes applied. Shop For Benchmade Knives This link has a list of all of the Benchmade knives that are for sale at AAPK. Have Knives to sell? We offer exciting selling opportunities! If you are not a knife retailer & just have a few knives, or a collection of knives you want to sell; many of our members buy knives & knife collections of all sizes. If you would like to get offers, contact us & tell us what you've got. We'll pass your info on to the many buyers who may be interested.